Microsoft was the leading company to enter in the console based gaming thing with its Xbox 360. 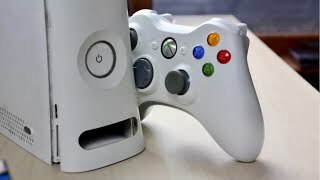 Despite some of the flaws like lack of integrated Wi-Fi and a hard drive, Microsoft sold millions of Xboxes and made a strong base in the gaming console market. The company decided to give the Xbox 360 a revamp and create a 2013 version. 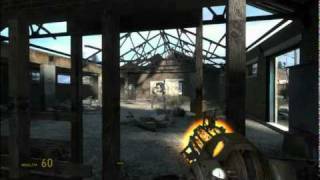 Continue reading to learn more about the Xbox 360 Cairo price, specs and more. The latest 2013 version of the Xbox 360 has been slimmed down quite a bit and is now 17% smaller than its predecessors. The matte casing that used to be a part of Xbox 360 has been replaced by a glossy black enclosure that looks quite attractive. However, that’s only until you start touching it as that glossy cover is a fingerprint magnet. The air vent and fan of the console that used to be in the back part of the console is now placed on the top. The fan is slightly less noisy now to provide you a near-silent experience when playing games. If you are looking for a gaming console with a combo of wide game collection and good looks, you can think about checking out the Xbox 360 Egypt price. One of the flaws of the old Xbox 360 was not having a hard drive. However, Microsoft decided to fix this problem and include a 250GB hard drive in the 2013 version without making the device look to chunky. Using the internal 250GB space, users will be able to save their TV shows, movies, games, levels, music and demos from Xbox LIVE marketplace. The latest Xbox 360 Wireless Controller offers 30 hours of battery life using two AA batteries. It’s also Kinect ready if you are planning to buy an Xbox bundle with Kinect. 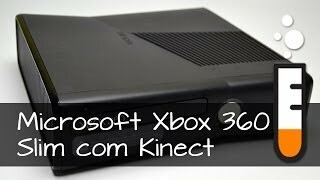 The Kinect controller is still not completely polished, but if you love the idea of being the controller yourself, you can think about checking the Microsoft Xbox 360 Egypt price. There was no integrated Wi-Fi available in the earlier version of Xbox 360 but its here now. The 2013 version includes a built-in Wi-Fi to offer you a faster connection to Xbox LIVE and download anything you need from the Xbox LIVE marketplace. Other specs are mostly the same as the revamp was just cosmetic. However, if you are not familiar with the specs of older versions either, the Xbox 360 includes a 2.4GHz wireless, 4 USB 2.0 ports, IR receiver, Wi-Fi 802.11b/g/n and AUX port. It can give you not only access to thousands of games but also to your favorite apps including Netflix, YouTube, Twitch, Machinima and more. If you are looking for not just a gaming console but a complete entertainment package, you can think about checking the Xbox 360 Egypt price. The price tag of the Microsoft Xbox 360 starts from around $ EGP 4500 and the Xbox 360 Cairo price starts from around EGP 4100 . 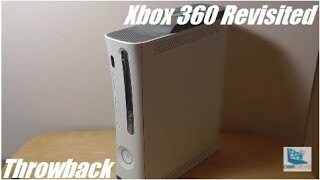 The xbox 360 Xbox 360 Console is manufactured by Microsoft and was added around May 2018 and is part of the Microsoft Xbox 360 series. This version of the Xbox 360 Console comes in Color : Black , Storage : 250 GB. The model comes in 6 other variations including combination of Black Color , 250 GB Hard Disk , 250 GB, 4 GB, 500 GB, 320 GB Storage. The product is sold at 3 online shops in Egypt in Cairo, Alexandria. The best price for the Microsoft Xbox 360 in Egypt is EGP 5999 sold at Souq and available with free shipping and delivery within Delivery in 3-7 days. By comparing prices and buying from the cheapest store you can save up to 39% or EGP 3901. 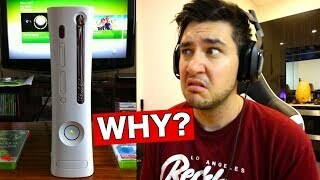 I purchased an Xbox 360 in 2019... THIS IS WHAT I GOT! 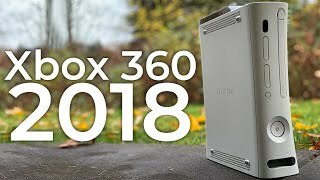 Throwback Review: Xbox 360 In 2018 - 12 Years Later! Price has increased 40% from EGP 4222 on 2015-01-10 to EGP 5899 today.